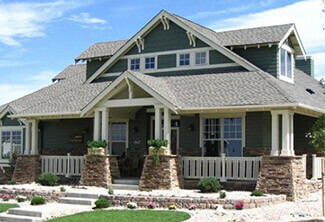 Carmody Construction has been a leading Geneva, IL home construction contractor since our founding in 1948. Located along the banks of the Fox River, Geneva is a historical town in the heart of the Fox Valley. Geneva is consistently ranked among the top places to live and raise a family by numerous national publications. One of the area’s more affluent communities, Geneva is the county seat of Kane County. Founded in 1835, the city was incorporated in 1867. Today, Geneva’s thriving downtown makes it a popular destination for shoppers and diners alike. Geneva is also home to several historical sites, including the Fabyan Windmill, which was listed on the National Register of Historic Places in 1979. Geneva’s rich history is well chronicled in its downtown historical museum. As one of Geneva’s top contractors, Carmody Construction has a wealth of experience in working in the homes and businesses of Geneva. A family owned and operated contractor, Carmody is located in nearby Oswego. We take great pride in providing the very best in craftsmanship and materials in every job we complete in Geneva. We also happily provide free consultations, and work closely with our clients throughout the entire project to complete it to their exact specifications. We don’t consider a job complete until you are 100 percent satisfied. In addition to providing windows, doors, siding and roofing services in Geneva, Carmody also is a builder of custom homes and has completed several high quality home additions in and around Geneva. We also work closely with many of the country’s top insurance providers to fix damage caused by high winds, hail or other natural disasters. Our insurance industry experts ensure a no-hassle claims process that maximizes your homeowners’ insurance benefits. Live in Geneva? Need Windows, Siding, or Roofing Services? Schedule an appointment today!